I don’t know about you, but I’ve always stuck to the usual when wearing sneakers. I would pair mines with the obvious sweats, shorts, track pants etc. But these days, I’ve been inspired by fellow bloggers and of course the new ‘sporty chic’ rise of fame to feel free to wear my sneakers with whatever I want. As a whole, I feel that fashion has become less strict and a tone of rules are being broken. Us ladies are not just restricted to wearing an evening dress at cocktail hour, sneakers at the gym, or swim suits at the beach. We are seeing more and more people breaking the rules and making that ‘occasion specific’ piece work any time of the day, month or year. 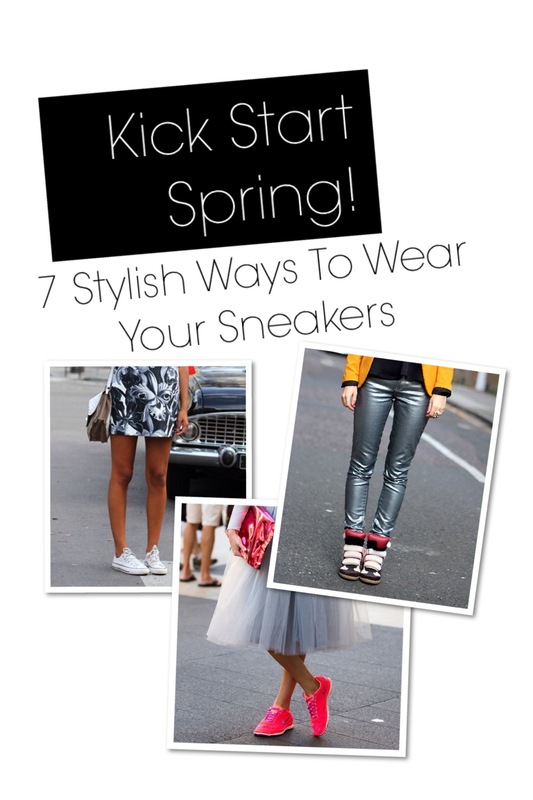 With all this said, see my round up of 7 ways to look super chic in your sneakers this spring and summer.